La Historia by E.P. 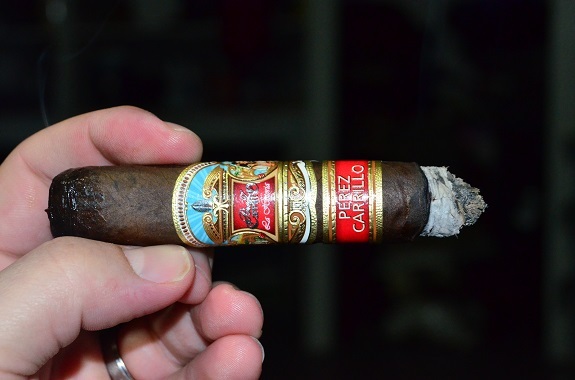 Carrillo gained a ton of attention after landing the #2 spot on Cigar Aficionado’s top 25 cigars of 2014 list. But in typical Casas Fumando fashion, we are finally getting a review up nearly four years after its release. Launched at the 2014 IPCPR Trade Show, La Historia features a Mexican San Andres wrapper, Ecuadorian Sumatran binder, and Nicaraguan filler tobacco. The cigars are made in the Dominican Republic at Ernesto Perez-Carrillo’s Tabacalera de Alianza S.A. factory. Each frontmark pays tribute to a member of Ernesto’s family. Available vitolas include El Senador (5 3/8 by 52), Regalias d’Celia (5 7/8 by 58), Dona Elena (6 1/8 by 50), and E-III (6 7/8 by 54). You can purchase the E.P. 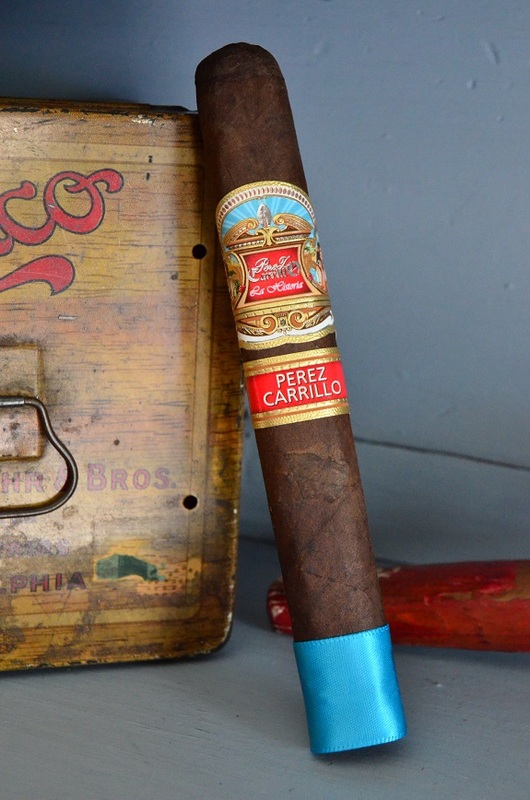 Carrillo La Historia from our good friends at Famous Smoke Shop HERE. The E.P. 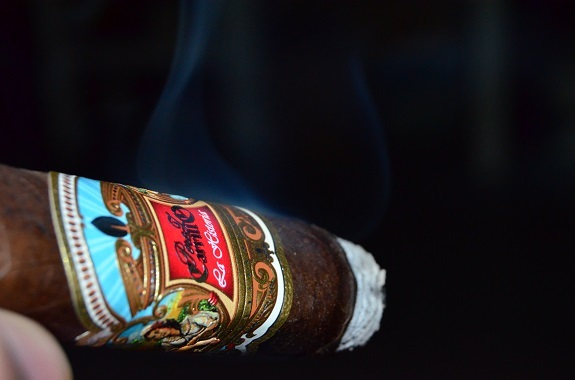 Carrillo La Historia Dona Elena is draped in a very dark wrapper that is heavily coated with oils. There are some medium sized veins on the leaf and scattered bumps. 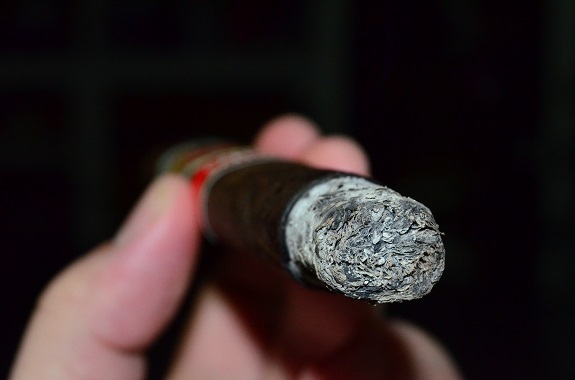 The cigar is firm through and through. A vinegar aroma comes across as I bring the wrapper to my nose. The foot of the cigar is much more pleasant with graham cracker and chocolate. Upon cutting the triple cap, I find a stiff draw with some cinnamon, graham cracker, rich cedar. The cinnamon spice warms my palate and lips. The snug foot band frayed the Mexican San Andres wrapper during removal. The damage is minor and I do not foresee it impacting the cigar. The introductory flavors are rather tame on the La Historia. There is charred wood, black tea, a faint honey sweetness, and pepper. There is also a lemon zest. The cigar is burning well as a salt and pepper ash holds to an inch. The lemon zest has evolved into a floral quality as I move into the second third of the La Historia. The charred wood and black tea remain, and the sweetness is only appearing every so often. The burn remains excellent. A heavy black coffee flavor lingers on the finish that is somewhat bitter. The final third shows another dimension of the La Historia. The charred wood and tea have backed off and a bread-like flavor has joined in. The sweetness is more constant than earlier and rounding out the profile. The La Historia Dona Elena by E.P. Carrillo was a constantly evolving cigar that began in the mild to medium range and steadily picked up through each third. The light flavors in the first third were somewhat disappointing, but, as I burned my way through it and the flavors increased, my enjoyment of the cigar increased too. It was really the final third of the cigar that won me over with the bigger flavors and the sweetness that balanced everything out. 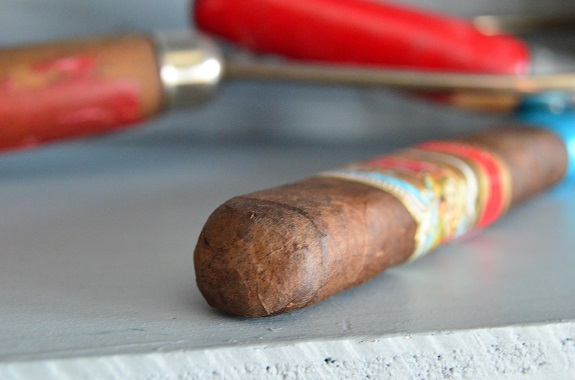 The La Historia is an excellent performing cigar with its even burn and well-holding ash. 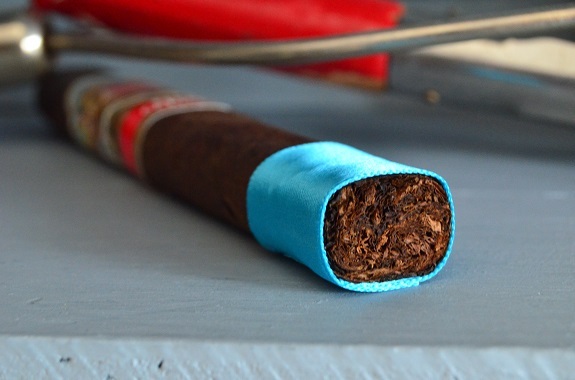 For a cigar right under $11, it is not something I will be smoking everyday, but a cigar I wouldn’t mind grabbing a couple more of next time I stumble across it. Related Itemscigar reviewDominicanE P CarrilloE.P. Carrillo Cigar ReviewE.P. Carrillo La HistoriaEcuadorian SumatraLa Historia Cigar ReviewMexican San AndresNicaraguanTabacalera La Alianza S.A.